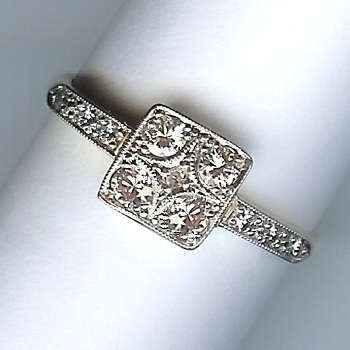 Lovely Deco Diamond Cluster Ring [SH10135] - £0.00 : loveVintageDiamonds.com, Your Vintage Diamond Dreams Come True! 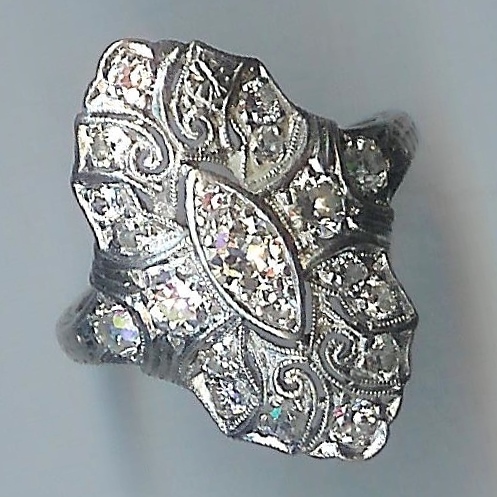 Three diamonds are set across the centre of this ring, with the middle diamond set into a lovely marquise-shape detail. 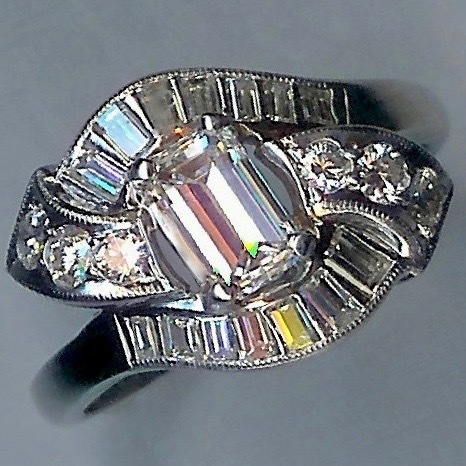 There are a further eighteen diamonds set around fancy detailing in the crown. 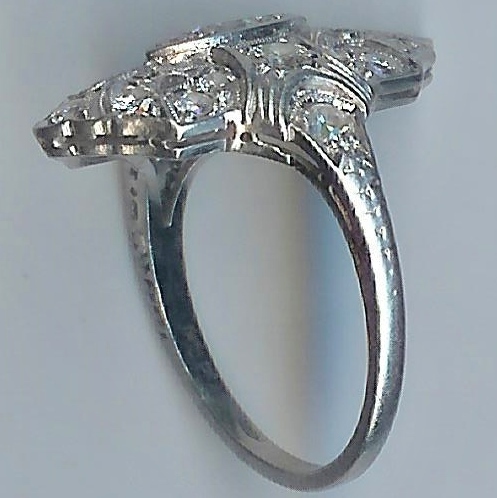 The metal is white throughout and it is stamped inside the shank to indicate that it is platinum with iridium, which is not surprising given it is of the Art Deco period. 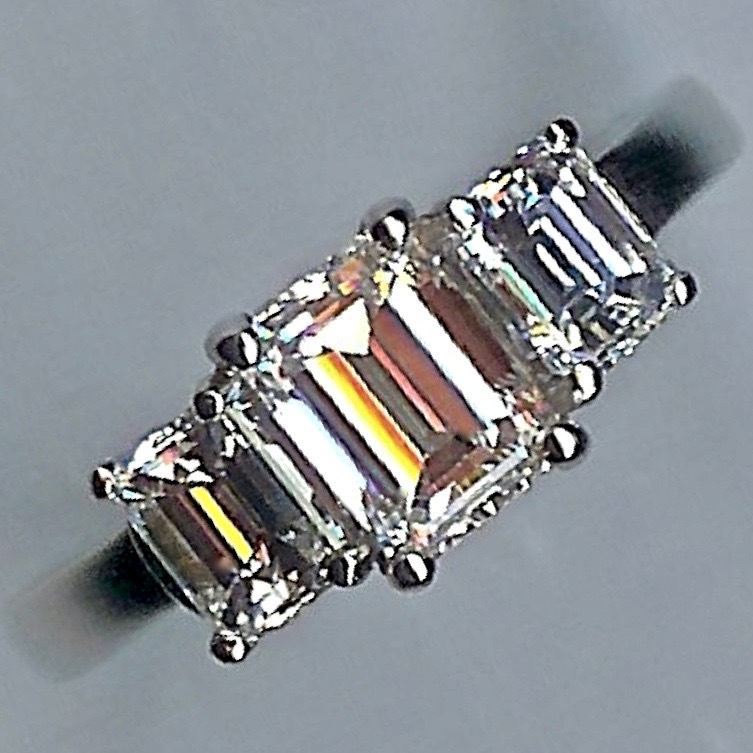 The ring currently fits finger size 'H'/2' (UK) approximately.